But we ran into a big problem. Number of Homes on the Market – down 16.5% . Monthly Supply of Homes – down 23.1% to 2 months. Keep in mind agents often don’t take a home off the market until after the appraisal and inspection process and all contingencies are removed, which can take 2-3 weeks or more. This means that if a home is on the market for 22 Days, it was probably on the market for only a few days before an offer was accepted, triggering the appraisal and inspection process. We are very clearly in a sellers housing market in Hugo, with too few listings with more buyers than homes available.We are seeing similar statistics in communities throughout the Twin Cities real estate market. First time home buyers need to be prepared for a competitive market. Get a Really Great Realtor: John and Becky have over 30 combined years of experience in real estate and enjoy working with first time home buyers. As a husband and wife team, they work together with every client, so you know they are always available and ready to help you. And their services don’t cost you a thing. The home seller usually pays the commission and fees. Also, John is a real estate BROKER, with advanced training beyond that of a REALTOR, so you can be confident in his negotiating strategies and creative problem solving. They are also experienced and trained counselors and teachers, taking an educational approach with you, guiding you every step of the way. 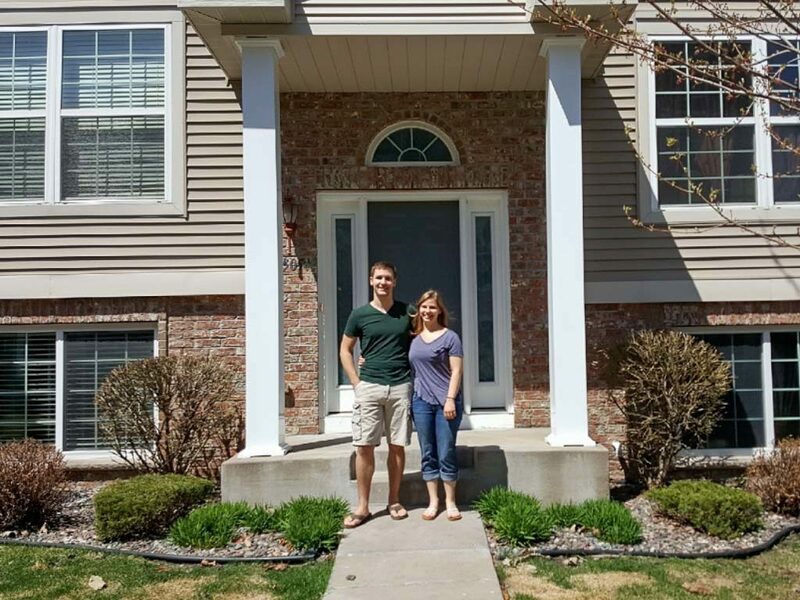 Does buying your first home make you nervous? It’s OK to admit it. Buying a home is the biggest investment most of us make in our lifetime. John and Becky are experienced and will coach you as you make your decisions and navigate through uncharted real estate waters. Back to the story at the beginning of this blog post. Our buyer client overcame a multiple offer situations and submitted the accepted offer only to encounter home not appraising. This is happening quite often these days as home appraisers are conservative in their home valuations and banks are unwilling to write loans for homes that don’t appraise for the sale price. (With homes in high demand, we don’t see this problem going away anytime soon.) The home not appraising required further negotiation with the sellers, which became difficult at times, but we got her through it and helped secured their ideal town home. She’s now settled and enjoying her lovely new home!